One of the best things about Barbecues, besides the meat, is the side dishes! 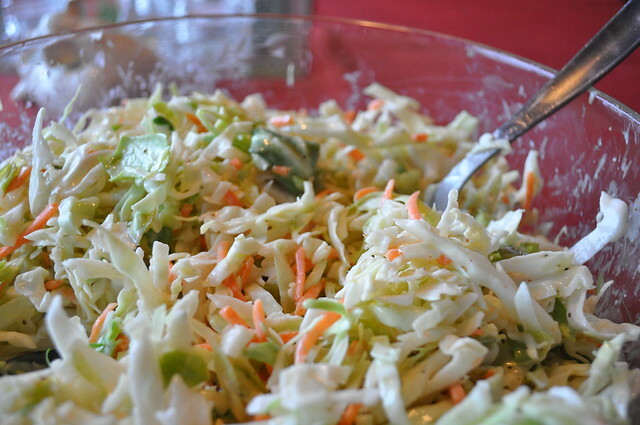 We mean, you can’t really have a BBQ without side dishes, and one of our favorite BBQ sides is Creamy Coleslaw! This recipe is a classic and a definite crowd pleaser, and a must at any summer BBQ. In a small food processor put the mayonnaise, sugar, celery seed, mustard powder, cayenne pepper and white vinegar and blend until smooth. Taste and season with kosher salt and pepper to your like. Blend for five more seconds. 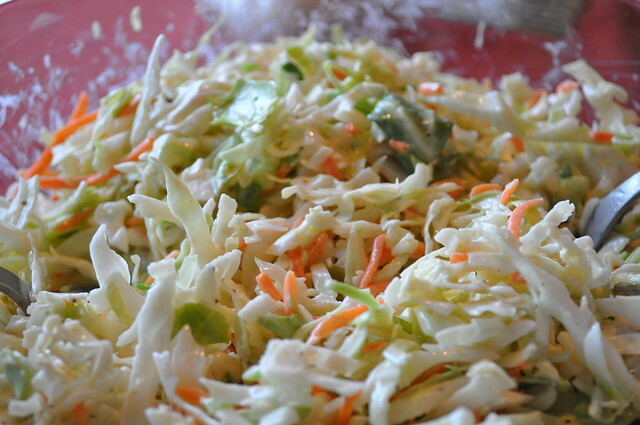 Place your coleslaw mix in a bowl and mix with some of your dressing. Toss until fully coated, serve almost immediately. Personally we dress our coleslaw 10 to 15 minutes before we serve it, that way it lightly breaks down the coleslaw mix and it’s not too soggy.